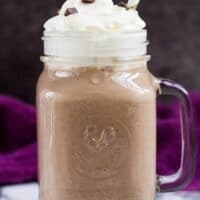 Mocha Smoothie – Deliciously thick, smooth, and velvety coffee flavoured chocolate smoothie topped with whipped cream and chocolate chips! 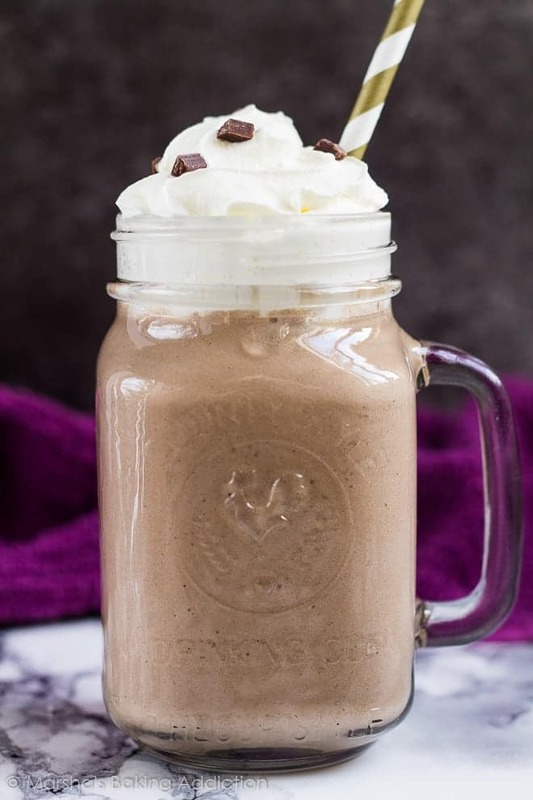 This Mocha Smoothie is incredibly smooth and velvety, all thanks to a special ingredient. Silken tofu! Yep, there’s tofu in this smoothie, and it is amazing. A must-try. 🙂 The tofu also gives this smoothie thickness, which I love. To make this smoothie, simply blend all the ingredients together in a blender or food processor. 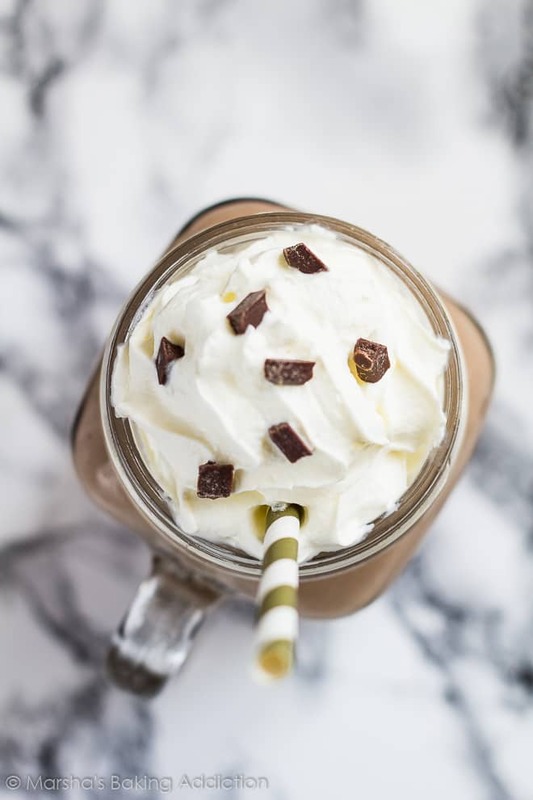 Pour into a glass, top with whipped cream if desired, and serve! 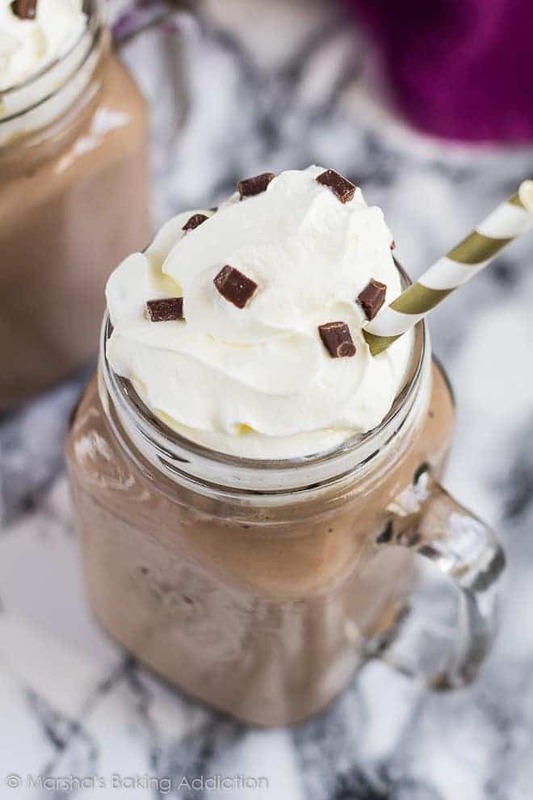 This recipe makes one very large milkshake, or two smaller ones. 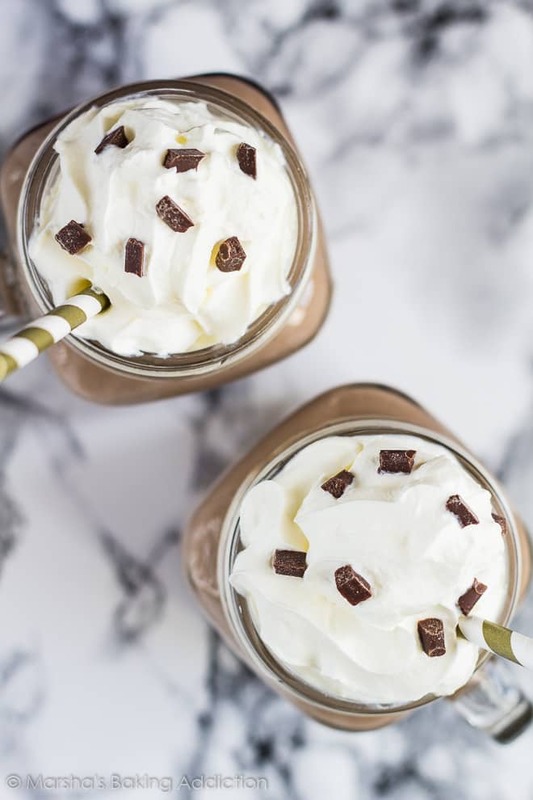 Make these delicious drinks next! 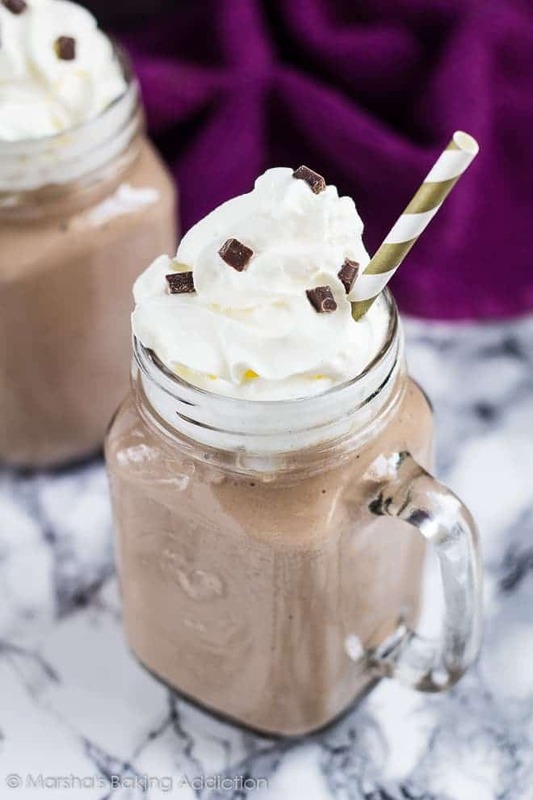 Deliciously thick, smooth, and velvety coffee flavoured chocolate smoothie topped with whipped cream and chocolate chips! Place the tofu, banana, hot chocolate powder, yogurt, milk, coffee, and honey in a blender and blend until smooth. Add more milk if too thick for your liking. Oh wow! This looks amazing! I cannot do tofu, but man, I bet it makes this drink INSANELY creamy! I used to hide tofu in food all the time, like lasagna, so this looks perfect for me. The coffee lover in me wants this right now! Marsha, this smoothie looks and sounds amazing! I love that it’s so packed with protein! The combination of tofu, yogurt and more is just incredible. I think this would make for the perfect post-gym, post-workout snack–delicious, nutritious and totally guilt-free. YUM! Pinned, of course! yummy! It’s like an iced coffee kinda but in a thick and delicious smoothie! I’ve been dragging lately so I definitely need this pick me up! Hi! You could use extra yogurt in replacement of the tofu and banana, but I’m not sure how that will turn out as I haven’t tried it myself. In this recipe, I used tofu in replacement of not using a whole banana, as using a whole one just made the smoothie taste only of banana, so I’m not sure how to substitute both.